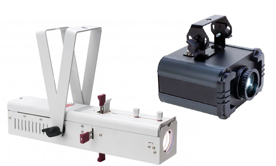 Shop our custom Gobo monograms & logo light projectors and take your event lighting to the next level. 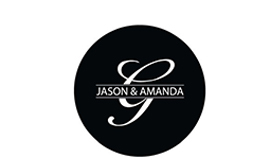 Shop our Pre-Designed glass gobo designs at the best prices in the industry. 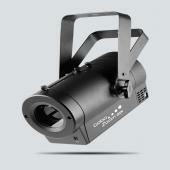 Find the perfect pre-designed metal gobo for your event. 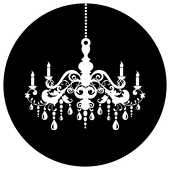 Available in different sizes! 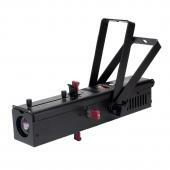 We can make any custom design you need and ship it in just 24 hours! 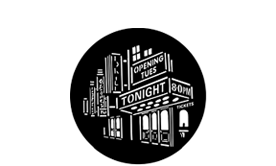 Don't miss this amazing deals! 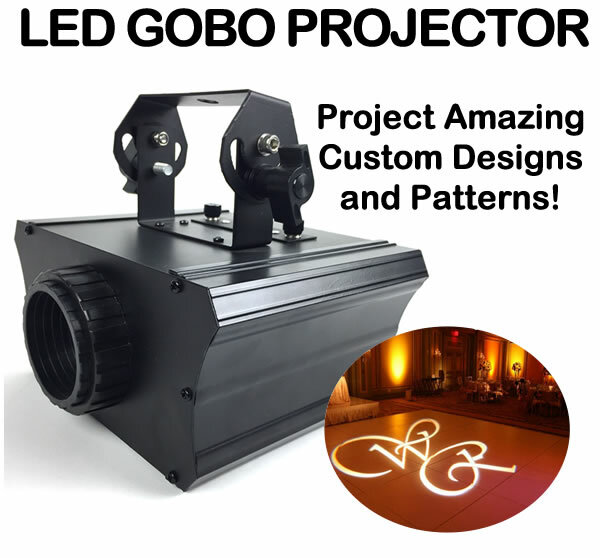 One of the latest trends for weddings and special events is the Gobo, also referred to as monogram lighting, (or gobo projector) that projects crisp, clear and detailed imagery to illuminate visual displays on walls, floors, backdrops, and almost any scenic surface through the use of crystal-sharp color filters. 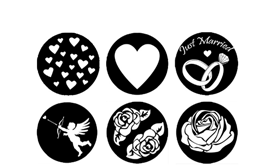 Event Decor Direct offers over 1300 pre-designed Gobo patterns from rising hearts to cabaret. 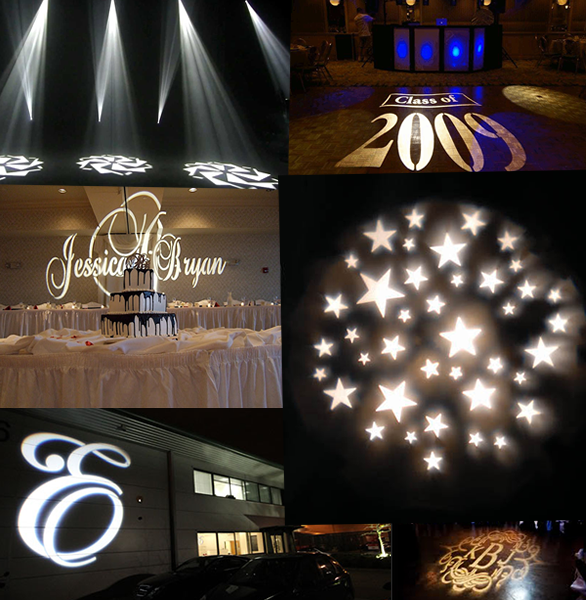 We also offer custom Gobo designs - from logos to photographs for any special event or occasion where personalization is necessary. 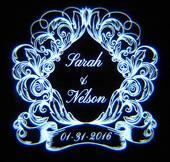 Our state of the art high quality laser etched Gobos adorn any wedding or special event with grace and style.